Mayor Denis Shortal supported the 5th annual Myasthenia Gravis Walk last month at the Brook Run Park in Dunwoody. Mayor Shortal became the first mayor to open a Myasthenia Gravis Walk. The local Myasthenia Gravis chapter was delighted to have support from mayor and look forward to seeing him future events. Mayor Shortal is pictured first place team Dream Vacations with Dawn Warner as captain. Myasthenia Gravis is rare neurological autoimmune disease that affects the voluntary muscles without warning. 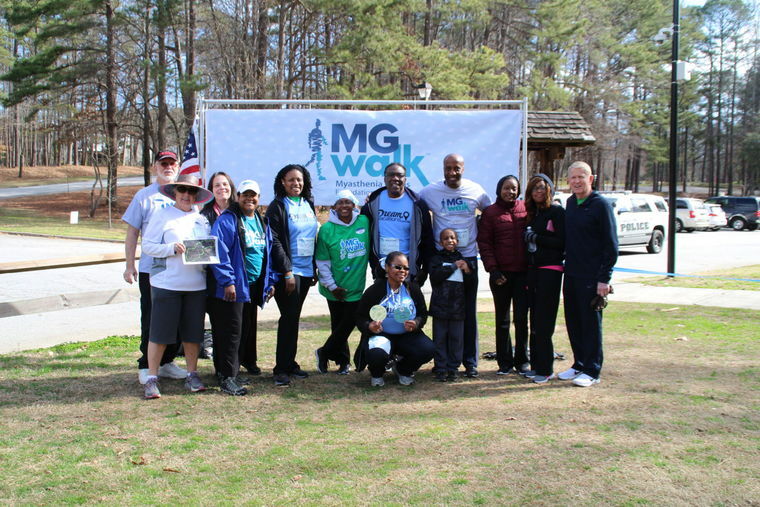 Since the inception of the MG Walks more than four million dollars has been raised to help find a cure and fund patient services. Proceeds from the Walks are given to the Myasthenia Gravis Foundation of America the only volunteer health organization serving myasthenia gravis. For more information on myasthenia gravis visit myasthenia. org.